On the whole I do think this is an amazing mascara, but... and there is a but, it's not for everyone. If you have really short or sparse lashes it can look very clumpy, and I know this because my mum also has this same mascara and on her short lashes it looks very clumpy. 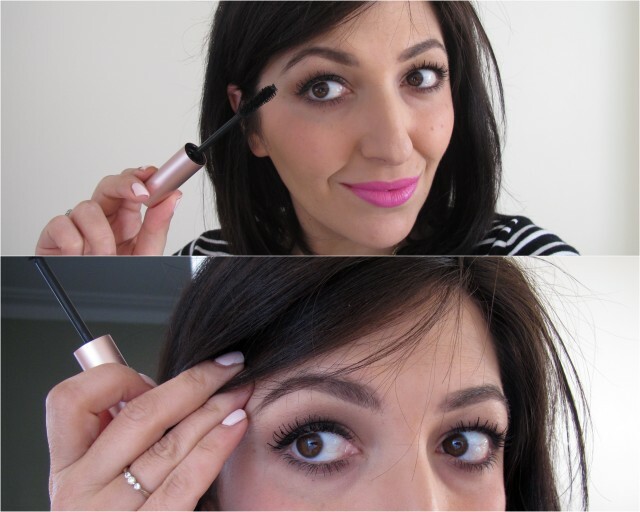 The wand is also slightly bigger than average, so it's easy to skip a lash or two and end up with mascara on your lids. 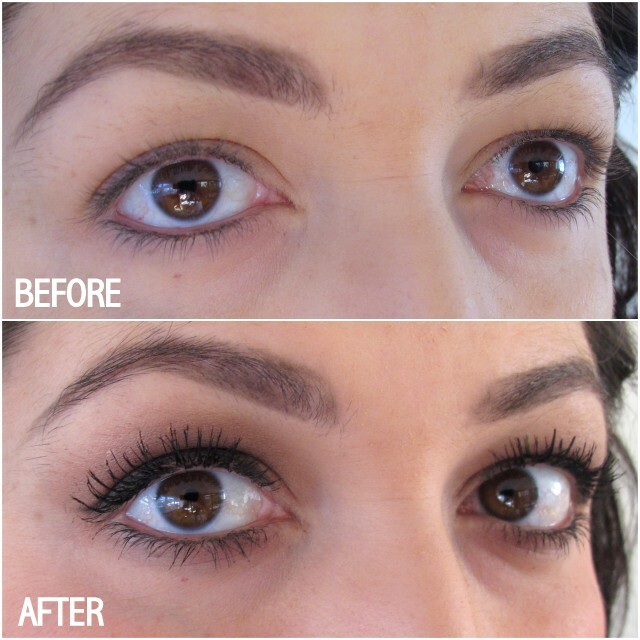 However, if you already have a decent set of lashes to begin with, this can make them look amazing. The colour is very black, it lengthens and volumizes to the max and it's also very buildable. I generally do 2 coats as I like my lashes to stand out, but even 1 coat gives more volume than some other mascaras out there. It also washes off really easily and best of all doesn't leave your lashes feeling crunchy. Here are some before and after pictures so you can see it in action. Can I just say I also really like the packaging, it feels really sturdy and I know it won't break if I was to drop it. This mascara is $29 at Mecca Maxima, and is definitely a repurchase for me. Have you tried this mascara? Yay or nay? I have been waiting for your review Lilit. You have the best lashes ever :) I think i have reasonable lashes to start with so am now excited to try it, also think its a not bad price point for a Meccca offering ! My all time favourite mascara. Have converted family and friends to it. As a tip, even though it sounds wasteful, wipe off all the excess mascara on the brush before applying. You need to do this especially when you first start using it. This might fix your mum's clumping problem. You don't need to continue doing this when you get about halfway through the tube as it dries out a tiny bit and become perrrrfect!